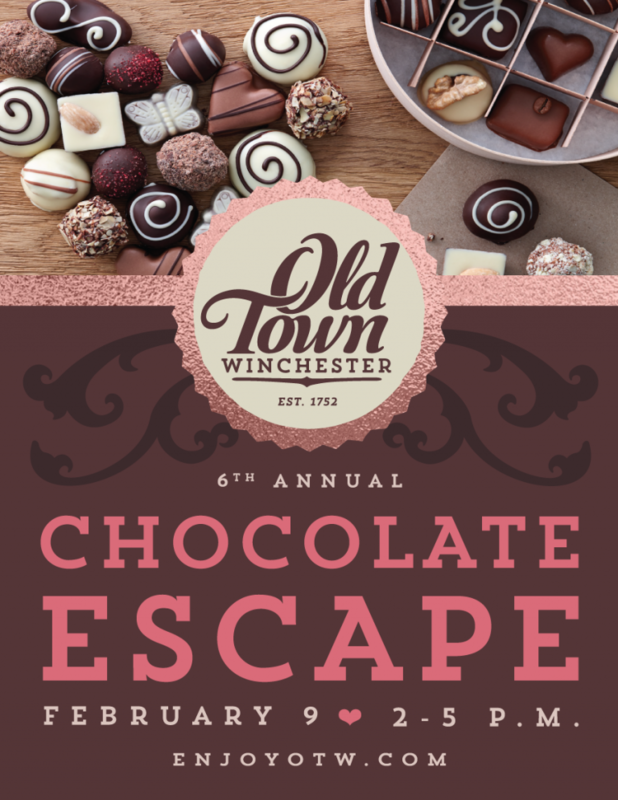 From 2:00-5:00 pm on Saturday, February 9, Old Town Winchester will be filled with romance and chocolate at the sixth annual Chocolate Escape. There will be chocolate covered bacon treats, chocolate beer, chocolate facials, a chocolate game and chocolate treats for everyone to enjoy. 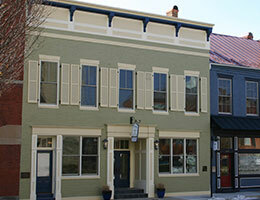 “This event offers the perfect opportunity to sample delicious chocolate with friends and family, shop for that special Valentine’s Day gift, or make Valentine’s Day dinner reservations in Old Town Winchester,” stated Downtown Manager Jennifer Bell. Enjoy a variety of $3.00 chocolate dessert samples at 16 downtown restaurants and food establishments or take advantage of special promotions and samplings at 22 participating businesses and attractions. 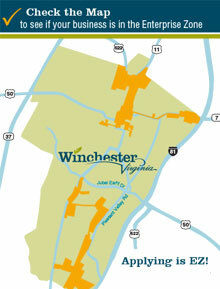 New this year, the Old Town Winchester Welcome Center will feature an art exhibit, “Messages of Hope from First Night Winchester,” as well as chocolate kisses. 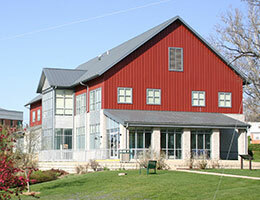 Over 40 businesses are participating in the 2019 Chocolate Escape. For a list of 2019 participants, please visit www.enjoyOTW.com.